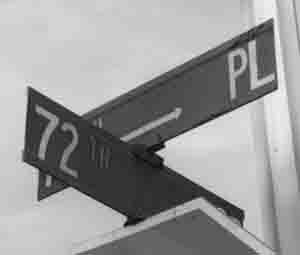 It's a sign at the intersection of 72nd Street and 71st Place. Or is it? The neighbors complained about this inconsistency, so the city came out and fixed it.